When it comes to bag selections, Kifaru offers many choices. There is something for every style of hunting. 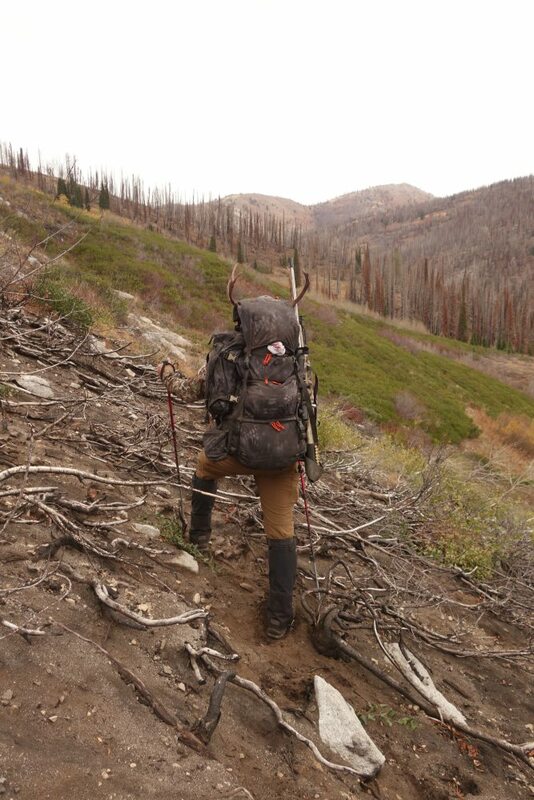 For the type of hunting I do (backcountry, three to seven days) I had an idea of what I was after. 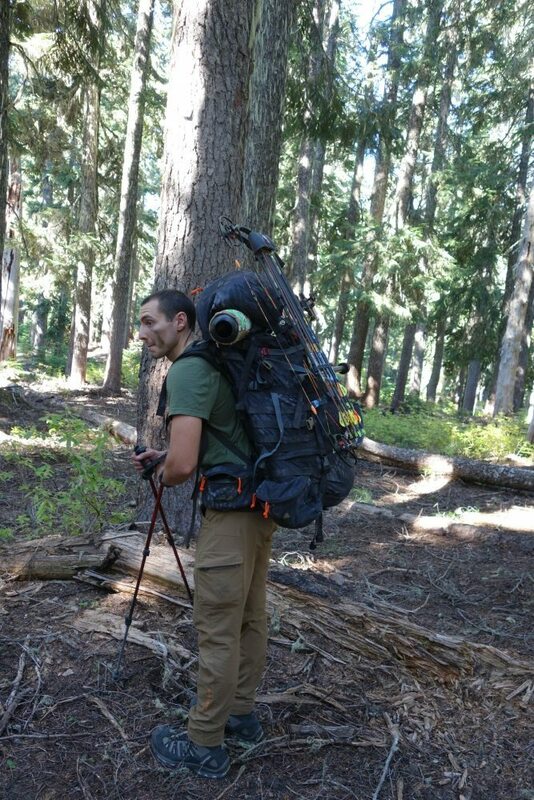 The T1 proved to be an excellent choice for many trips, but when Aron Snyder told me about the Australian Mountain Ruck (AMR) that was soon to be released, I knew that I needed to have it. The AMR is a 7800 Cubic Inch (CI) bag that can be compressed down to next to nothing. I like the ability to pack all the gear I need for the week, hike in, set up my camp, then compress the bag down to “day hunt” mode for the rest of the hunt. The reason is simple: If I am lucky enough to shoot an animal, I can bring back a load of meat to camp rather than wasting that trip retrieving a full-sized pack. The layout of the pack is simple yet very effective. It’s one large compartment with two external pockets that are 385 CI each. You access the main bag through the top draw string closure or from the zipper on the bottom. The pack cinches down with ease thanks to the three compression straps on each side of the bag. These also are a big help when tightening down a full load. You can also cinch up the bottom portion as there are two compression straps running down and around the bottom. With both sides of the pack having a generous amount of PALS webbing, there is no shortage of places to attach pockets or other accessories. There is no internal pocket for a bladder, however there are connection points where you can attach a water bladder holder also offered by Kifaru. There is also an opening at the top of the bag to thread your hose through. The question often comes up about the pack’s ability to attach a bow or rifle. I have carried both weapons. The rifle attaches with ease when using a Kifaru Gun Bearer. I have used it the traditional way (barrel under my arm) and I have also moved the location of the bearer on the PALS system and was able to use the top compression strap to secure the barrel to the bag. This was handy for long hikes in the dark or hikes out after I filled a tag where I didn’t need quick access to my rifle. When attaching a bow, I simply used two compression straps (AKA lash kit) with K-clips. Strap over the top and bottom of the riser and attach to one of the many areas of PALS and you are nice and secure. 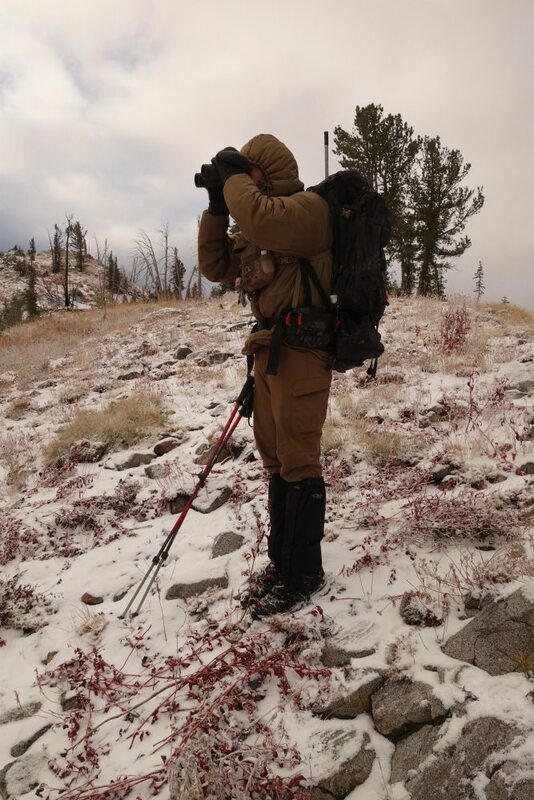 The lead photo shows the AMR with a 1/2 cow elk packed in the bag and a bow strapped to the outside. Whether you are a first time Kifaru buyer or you own a handful of their packs, don’t overlook the AMR. It truly is a versatile bag. The thought behind the design is evident. From day hunts with your rifle or seven-day backpack trips with your bow, the AMR has you covered.